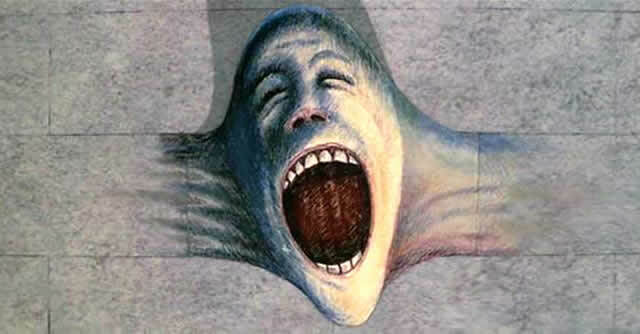 Here is a Classic Movie Review of the 1982 motion picture Pink Floyd The Wall. This article is done in conjunction with The River of Rock, and is published in along with an album review of The Wall 1979 album on Classic Rock Review and of the 1990 Roger Waters The Wall Live in Berlin concert review on Kid’s Theatre News. 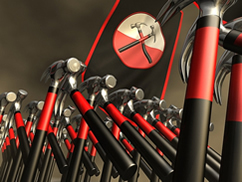 Pink Floyd The Wall may be the last of the classic rock operas that were translated to full-length films. This area had previously been dominated by The Who, with Tommy and Quadrophenia each later becoming full-length films. But in many ways, Pink Floyd The Wall is superior to those films, especially when it comes to artistic sensibility and cinematography. Directed by Alan Parker, the film premiered during the summer of 1982, about 32 months after the 1979 Pink Floyd album on which it was based. Like most of the tracks on that album, the screenplay was written by vocalist and bassist, Roger Waters, and combines live action scenes along with animation by Gerald Scarfe, all set to the concept music that tells the internalized story. The plot centers around a single character, a rock star named Pink (which undoubtedly comes from the band’s actual record signing when a clueless executive asked, “by the way, which one’s Pink?”). The adult version of this character is played by Boomtown Rats frontman Bob Geldof, who starts the film alone in a catatonic trance in a hotel room. The first half of the film, which corresponds with the first record of The Wall double album, involves flashbacks from both the distant and recent past interspersed by fantasy sequences involving war, death, and rebellion. Here, we also learn of the situations and relationships which contributed to Pink’s internal building of an emotional “wall”. When Pink was an infant, his British soldier father (James Laurenson) was killed in World War II. As a young child, Pink is constantly searching for a father figure, while his overbearing mother (Christine Hargreaves) doesn’t appreciate his need for a male presence. As he grows, the young Pink (played by Kevin McKeon) causes minor pranks, is constantly curious, and starts experimenting with drugs. Meanwhile, the cruel schoolmaster (Alex McAvoy), ridicules Pink for writing poems in class by mockingly reading the words of the actual Pink Floyd song “Money” in front of the class. As an adult, Pink is in a failing marriage and discovers his wife (Eleanor David) is having an affair while he’s on tour and he is growing ever dissatisfied with the rock and roll lifestyle. After bringing a female groupie back to his hotel room, Pink has a violent breakdown and trashes the hotel room. Later when alone, he displays bizarre behavior by arranging the broken pieces of objects in the trashed room and shaving his body hair and eyebrows, all while the flashbacks and fantasies continue. When Pink is later “rescued” by his manager (Bob Hoskins) and brought to the arena, his mental disdain for the audience internally turns him into a fascist dictator with the audience carrying out terror on the world before his internal struggles finally cause him to yell “Stop” and conduct an internal trial that leads to the “tearing down” of the Wall. Musically, there is a surprising amount of real difference between the 1979 album and the 1982 movie. Two new songs are included in the film, including with the opener “When Tigers Broke Free” and the song “What Shall We Do Now?”, which was intended for the original album but cut because of time constraints. Conversely, two songs from the album, “Hey You” and “The Show Must Go On’, were omitted. While the rest of the songs pretty much run in sequence, most of those were either remixed for the movie or re-recorded all together. From this latter group are the two “In the Flesh” tracks and “Stop”, each of which feature lead vocals by Geldof, and newly recorded versions of “Mother”, “Is There Anybody Out There?”, “Bring the Boys Back Home”, and “Outside the Wall”. Visual highlights from song sequences are led by the animation during “Goodbye Blue Sky”, “What Shall We Do Now?”, “Waiting for the Worms” and “The Trial”. 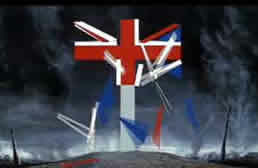 On these, the morphing is graceful and seamless with completely original concepts like flowers copulating and then battling, a living and expanding wall, the Union Jack morphing into a blood-drenched grave cross, hammer pairs marching in lockstep across the land, and the various characters from Pink’s past as exaggerated animations. 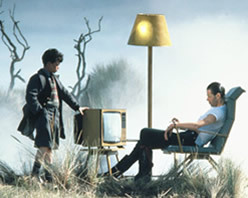 Of the live action sequences, the best are “Another Brick In the Wall, Part II” (which was released as an MTV video prior to the movie’s opening), “Young Lust”, “One of My Turns”, Comfortably Numb”, and “Run Like Hell”. While the 90 minute film contains very little actual dialogue, Geldof does a fine job of portraying the differing emotions and mental states in flashback, fantasy, and reality. The much more limited supporting cast also makes the most of their short appearances by playing to their perceived stereotypes. The only real flaws in the film are a few really out of place scenes and the excess use of time-shifting, which can easily lose a less-than attentive audience. On the flip side, there is so much to unwrap in these scenes, that even one who has viewed the film several times over several decades (as I have) can discover something new with each viewing. Originally, the film was intended to be live footage from the album’s tour, along with Scarfe’s animation and some extra scenes, making it much like Led Zeppelin’s The Song Remains the Same. Parker, a Pink Floyd fan, approached Waters with his own idea and thus began this interesting project. Similarly, a soundtrack album was listed in the film’s end credits, but only a single containing “When the Tigers Broke Free” and the rerecorded “Bring the Boys Back Home” has officially been released to date. After it was widely released, Pink Floyd The Wall rose to #3 at the box office, just below the blockbusters E.T. the Extra-Terrestrial and An Officer and a Gentleman. 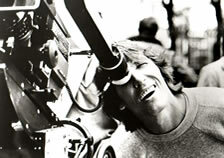 Although the film received generally positive reviews, both Waters and Parker have expressed reservations about the film. Pink Floyd guitarist, David Gilmour, has stated that the conflict between he and Waters which ultimately broke up the classic version of Pink Floyd, started during the film’s production. In the final scene, during the song “Outside the Wall”, children are shown cleaning up after a destructive battle with Pink’s ultimate fate never being revealed. In a way, this reflects the varied opinions on Pink Floyd The Wall over the past thirty years. Classic Movie Review is a monthly series on Big Blue Bullfrog, which explores quality movies and films that are more than 20 years old, and is done in conjunction with the River of Rock. Owned and operated by 33 Dimensions LLC, River of Rock is a network of music and entertainment websites. 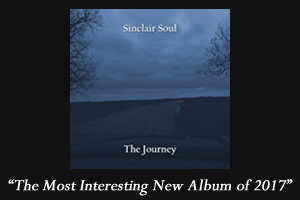 For more information or interest in submitting a review, please contact ric@modernrockreview.com.